Sweden counts as one of the largest countries in Europe. While Sweden has more of a flat landscape in the eastern part of the country, in the western part at the border to Norway you will find the Scandinavian Mountains. The Skanderna (original name in Sweden) spread out far into the west and mountains there reach a height of up to 2,000 meters (6561,6 ft). On Swedish ground the Kebnekaise marks with 2,111 meters (6925,8 ft) the highest summit of the Scandinavian Alps. The skiing regions can be found spread out over the entire massif. 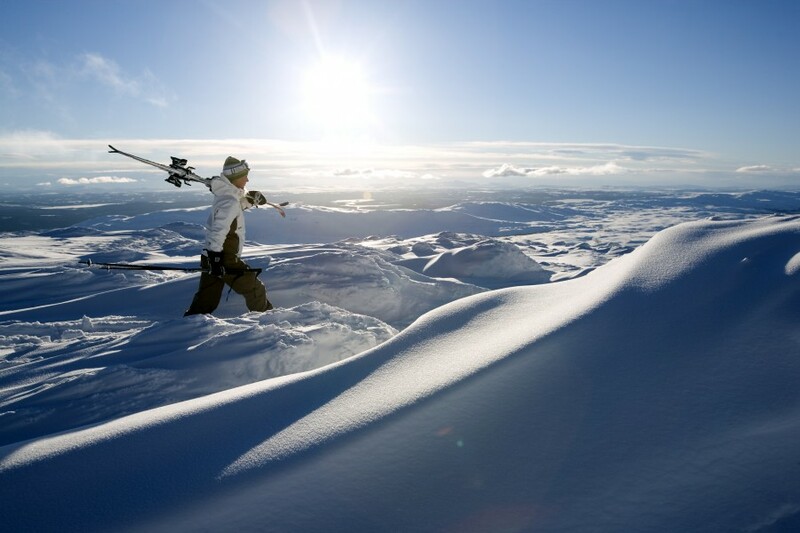 The most famous skiing region is called Åre where in 1954 the FIS Alpine World Ski Championships took place. Other World Cup competitions are held here regularly as well. With almost 90 descends it is the largest ski resort in Sweden. The ski resort around Sälen is also very popular. The skiing regions close to the villages Lindvallen, Högfjället, Tandådalen and Hundfjälllet have a total of 100 slopes available. Freestyle skiers and snowboarders are most at home in Kläppen. The Snow Park is supposedly the best in the country. The impressive nature of Sweden is not only found when racing down mountains. The Swedish cuisine is inspired by the beautiful nature of the country. Visitors can enjoy wild berries, chanterelles, pickled seafood like herring or crab as well as reindeer and elk.